The recent death of one of my favourite cookery writers, Katie Stewart, has reminded me of the debt I owe her for my own skills in the preparation of meals. 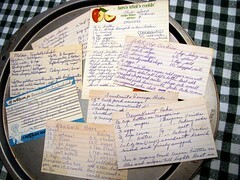 I first became acquainted with her recipes in The Times when I became a Law Student in the 1960s. The Times was compulsory reading for lawyers then as the Times Law Reports could be quoted in Court. I began to read Katie Stewart’s cookery column and when I moved into a flat and cook for myself, I used the recipes she wrote. I soon acquired a reputation as a good cook and an invitation to have dinner with me was highly prized, particularly with the men of my acquaintance. I would turn my desk into a table with a tablecloth, candles and nice white napkins. I would follow the recipes meticulously and always produce a good meal for my friends. I still have the Times Cookery Book as well as her other books and they are the bedrock of my repertoire. I love the recipes for poached fruit, Lamb Cutlets Shrewsbury and lots more. Recently I have become a fan of Sophie Grigson, who has inherited her mother’s flair for easy to prepare dishes, using fresh fruit and vegetables. Diane Henry too writes straightforward recipes for busy cooks. Her baked apples with marmalade and almonds are superb. Anyone else like Katie Stewart or what other cookery writers do you swear by.